On Monday 25th March my online wedding design course will be released and last night I did a Facebook live on my top 5 tips and a Q&A answering questions about my process and the wedding design course. Many of these tips are helpful to both planners and couples planning their own weddings so I wanted to share them here. A big one for me is whenever you’re going to sit down to design for a couple for their wedding, please do design with the budget in mind. Too often I see people create these amazing design briefs and they haven’t really considered the budget at all and they put these beautiful ideas, flowers here, flowers there, change of linen, hiring in this, hiring in that and just no consideration for the budget. So my big top tip, if you want to do some really clever design, is to start with the budget in mind. If you’re not sure what things are going to cost, then do your research. Talk to florists, look at rental companies, and find out roughly what things cost. You won’t necessarily get it bang on, but I think you’ll get a good ballpark figure and have an idea of how much things are going to cost. So, for example, with flowers, if you’ve got 10 tables and a budget of roughly £1000 for tables, then you have a ballpark figure e.g. £50-100 of what it’s going to cost for each floral arrangement. Don’t design something which is going to be very heavy on the florals e.g. £200 per arrangement which might not fit their budget. I feel quite strongly that when you first get into the design stage, really think about what their budget is and design with the budget in mind. And having spoken to a few florists about this, they say they get these amazing design briefs and then they’re just so disappointed when they find out what the budget is. Your job as the designer is to really think about that from the very beginning. So, let’s go into slightly more fun stuff. My next tip is very much: less is more. When you’re trying to work out what you want to do, don’t try and stretch yourself too thinly, that you have to absolutely design everything to the absolute max because sometimes, like I just said, the budget might not be there, so you need to be clever with your design skills and what you want to do. Really think about what’s the best way to utilise the design budget, what’s the best way of making an impact. Sometimes it’s better to focus on one key area to make a real statement than try and throw money everywhere and spread yourself too thinly. Like an impactful floral design, something that’s really quite extravagant that looks beautiful may end up costing the same amount as maybe spreading lots of little things in lots of areas all over your wedding design, all over the spaces. 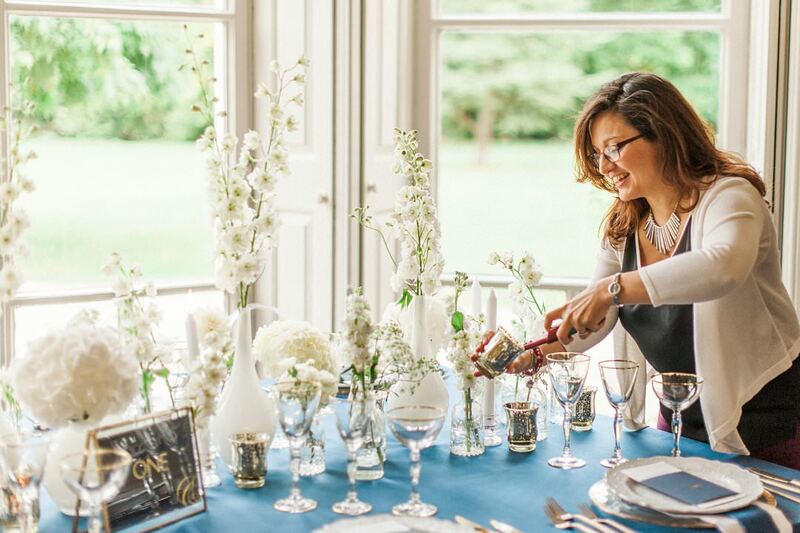 Less can be more, it’s better to do one or two things that create an impact, that create a nice focal point for the wedding day, than trying to spread yourself too thinly. When it comes to thinking about design it’s very easy to only really think about, “well, what can I see? So I can see beautiful colours, beautiful flowers,” but I also implore you to really consider all the senses. So, think of the tactile, how will things feel? 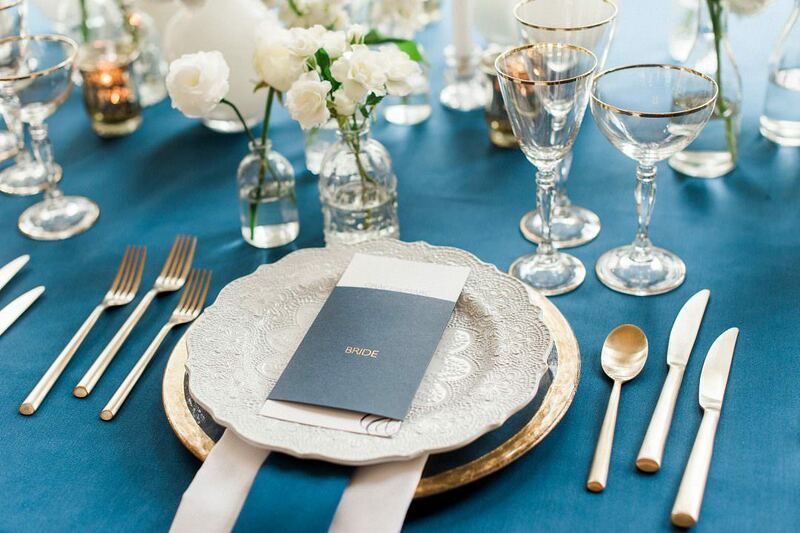 The surfaces, can you have beautiful linens that are very textural? 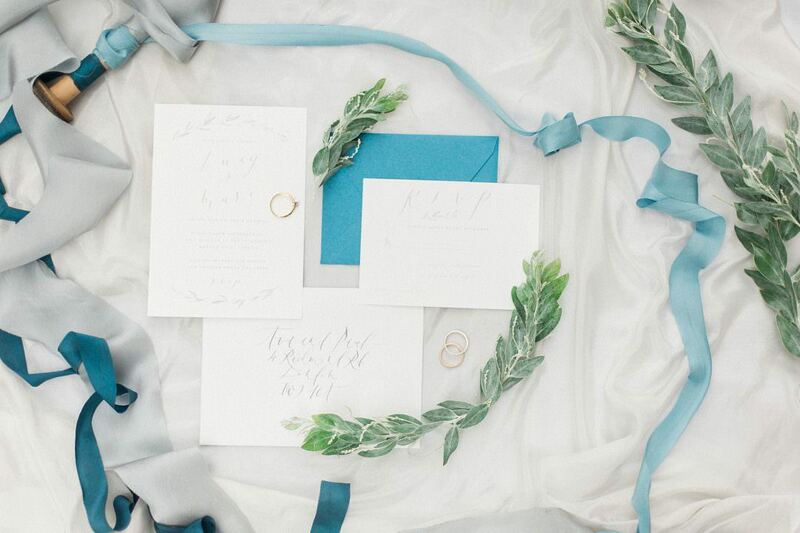 Can you add textural elements to your stationery? Letter press invitations are beautiful to touch. The food, in terms of taste, what food choices would the couple make? You want to find ways to personalise a wedding day and food can be a great way to personalise a wedding day because taste can be evocative and bring back memories of a great time: a first date or an amazing holiday. Menu choices can be really pertinent. Also think how they might be presented, it’s just as integral to design. Consider scents – certain smells are reminiscent of memories and beautiful moments. A perfume that they were wearing or the smell of some amazing food. Because I often think when we smell something later, it suddenly reminds you of that day. And I know a lot of brides will consider having their signature scent for their wedding day, and they might find a new scent so they’re always taken back to the day. Scents can really help do that so don’t forget to consider that in your design. The design is more than just what you see. Think about the taste of things, think about how they feel, think about the scents and sounds with music choices. All these elements come into the design so it’s more than just walking in and seeing all these beautiful things. It’s walking in and using all your senses – sight, sound, touch, taste and smell. 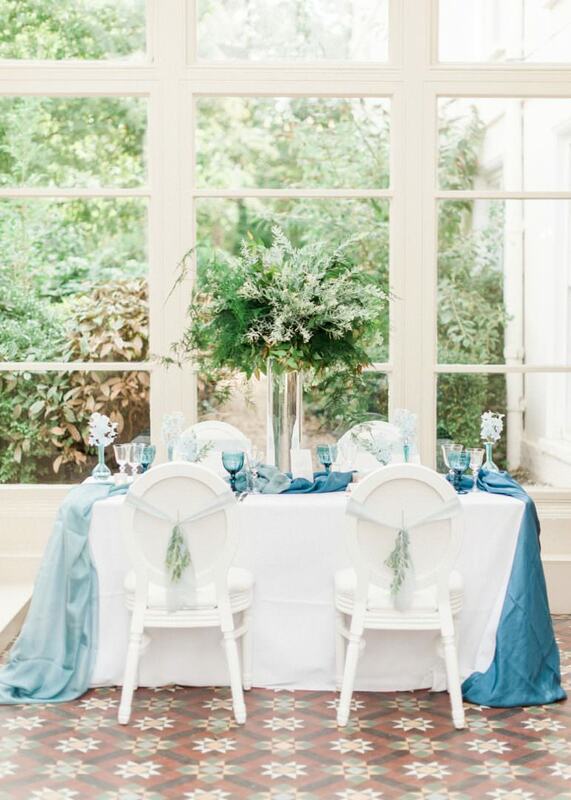 My next one, which might be a little controversial, forgive me if there’s any chair cover people reading this, but I’m going to say it, please don’t use chair covers- they are ugly, the sashes fall down, they don’t always fit right and just look messy. I think in the industry there seems to be this feeling that, “oh, chair covers come as standard.” A couple may have not been to many weddings or maybe they’ve not been on Pinterest and there might be the feeling that, “oh, the chair covers are part of the package, let’s put them in.” If you can, don’t use them, there’s so many other options now. When I first started, I did have a couple of chair cover weddings, not through my choice, we wanted to hire in chairs, but the venue didn’t have anywhere to put their chairs. In those days, there wasn’t much choice of other kinds of chairs available, but now there are so many hire companies out there that offer such a beautiful range of chairs. And choose a chair that’s right for the venue. 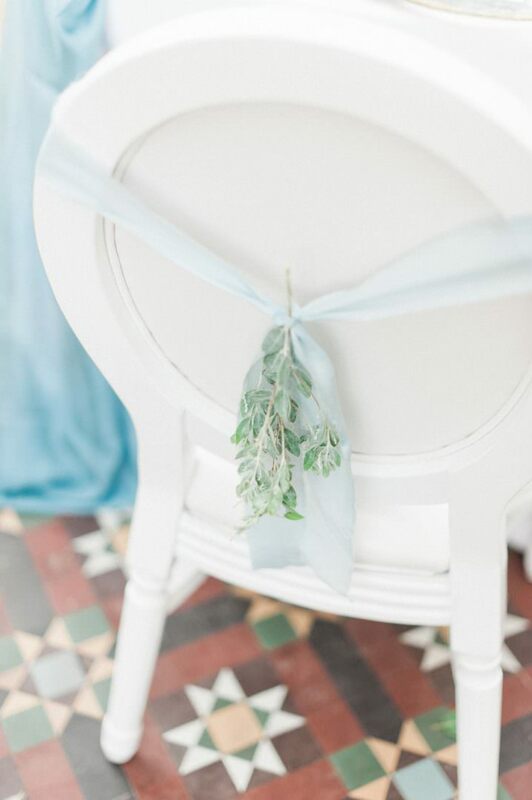 I think the Chiavari chair has become ubiquitous with weddings and it’s like wherever you go at a wedding, “oh, they’re going to have a Chiavari chair.” But even the Chiavari chair isn’t always the right chair. When you’re making your design decisions, think how every element that you’ll bring into it, does it work with the style and vibe of the wedding? If you’re doing a very elegant hotel wedding or in a country manor, then a Chiavari chair is probably beautiful. Although you could upgrade that and go even nicer like a Louis chair. 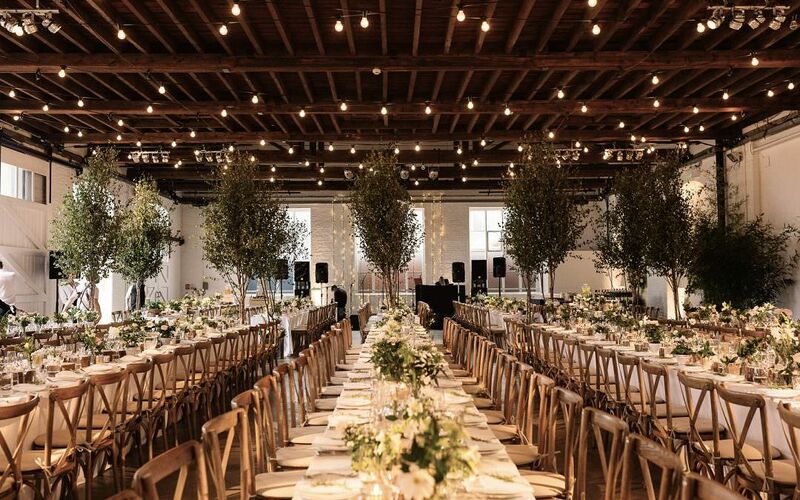 But then if you’ve got something like an urban venue, very cool, very trendy, then I think go for a chair that actually fits that kind of vibe and probably not your typical wedding chair like a ghost chair or Tolix. I would implore you to try not to use chair covers, there are so many other chairs you can use now. Often I’ve found in the past that actually hiring in chairs can be cheaper even than hiring in chair covers. So, please don’t use chair covers! Finally, I want you to really think about how all the component parts come together on the wedding day. The beauty of being the designer is that in your role you’re talking to all the various suppliers and you can help them cross-communicate. And when you have the over-arching idea of what’s going on, you’ve designed the brief, you know what’s going on in each of the sections, you can get a beautiful consistency between the design. And I’m not talking like matchy-matchy, everything has to match. I’m more talking in terms of how things just kind of flow beautiful and they work from one area to the next. You have thought about the flow of the day and you know what the different other suppliers that are bringing in. You know where there are areas they can cross over, so for example, the cake can have flowers that the florist is using or cake flavours can complement the food of the main menu. In your role as the designer, it’s a great opportunity to oversee what’s happening, giving you a beautiful consistency between the ideas. If there’s not a designer or a planner involved, you can have the same group of suppliers together and there won’t be that creative design because there’s not someone there acting as the director, talking between the suppliers and finding out what’s going on. You don’t get that beautiful flow and consistency. Make the most of being in that role to make it look more stunning. Budget – don’t forget design with the budget in mind. Less absolutely is more, don’t feel that you have to put things everywhere, clutter everything, design everything to a T, think about having focal statement pieces. Each part of the design counts, it’s not just about the sight, think about all the senses, because together they can be more impactful and you can make some really personal choices if you think about all these senses as well, the taste, the touch, the smells. Try not to use chair covers, we’ve got some great rental companies now with a beautiful range of options and I think it’s worth hiring a beautiful chair. And then finally, you are the designer – your role is that of the director overseeing everything, using your role to think about how you can get beautiful consistency and flow through the day. So, some of you may know that on Monday, with the UK Alliance Wedding Planners we’re going to be releasing my online wedding design course and I go into a lot more detail about my design tips, but also the process of designing a wedding: from the early stages of talking to your couples, the design questionnaire, thinking about what your roles are, like, are you the planner/designer, are you the stylist, I know that can be confusing for some people so I’ve gone in depth into that. 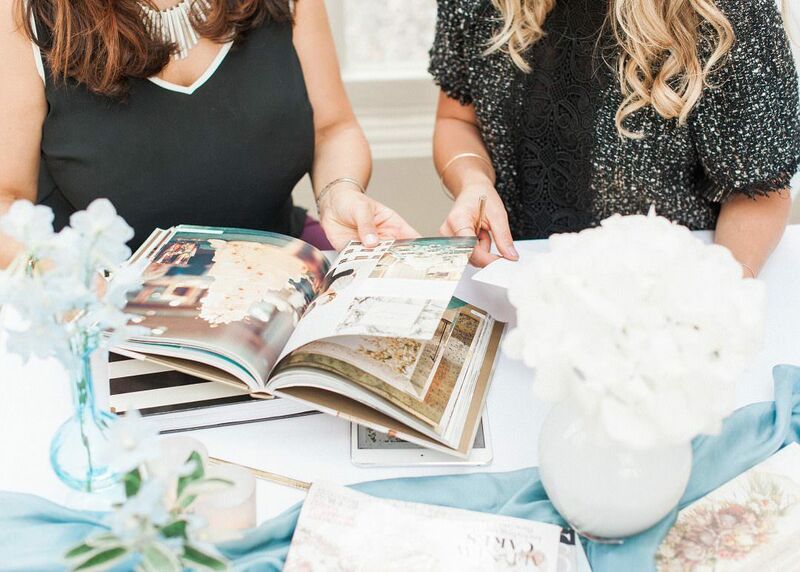 And then the process of designing the wedding, how to do your research, where to look, how to put a moodboard together and creating a full design brief until the actual wedding day itself. I’m also including a few little extras so I’ve put together some lovely template sketches of table set ups with different chairs so you can draw your designs on them. I’ve included a list of UK rental suppliers in there I’ve used because I love the UK rental market now, it’s a lot better than it was 10 years ago. Released on Monday 25th March at 8:00 am and the first 10 people to buy the course will be put in a hat to win the VIP upgrade which means you’ll get 45 minutes chatting with me talking about your design issues, problems you have may be having, maybe you want to discuss how to put a moodboard together or you want to brainstorm ideas for a wedding – I can help you with that. 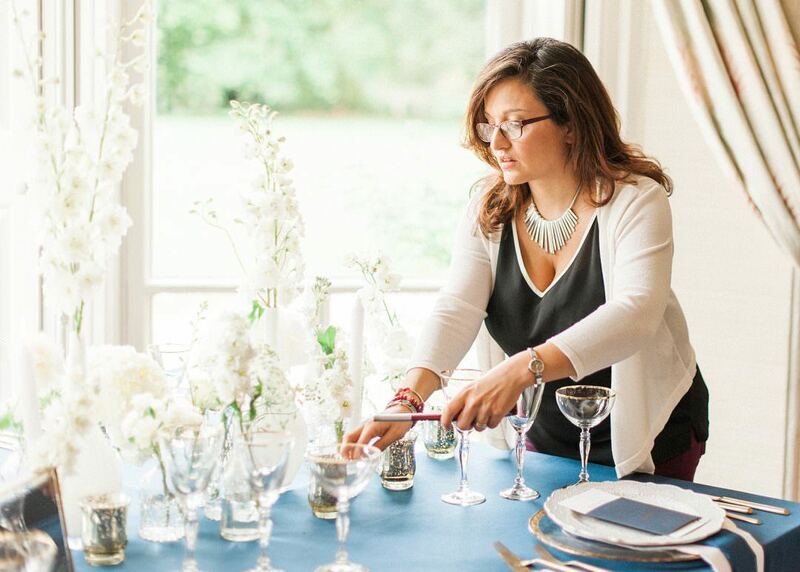 And you’ll also get a copy of my How to Plan a Successful Styled Shoot book. As one of the first UK wedding planners to do a styled shoot, I’ve put all that knowledge into a book which hopefully can help you all. Ultimately, you get them from the couple. I see them as the starting point- I talk to them about what they like and love, how do they envision their wedding. I see my role is to take the information they give me and use it as a spring-board for ideas that we can incorporate into their wedding. 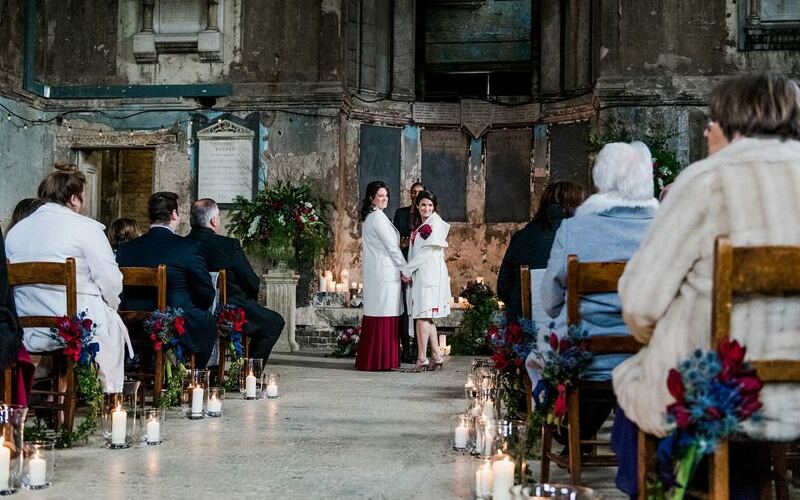 It could be something simple, what colours do they love, the hobbies they’re into, that sort of thing and by using them as the inspiration, you can create ideas for the wedding. I go into a lot more detail about sources of inspiration in the wedding design course. From the questions to ask and what to do with the answers, the research you can do around it. And I’m a big believer in not just sticking to weddings on Pinterest. I go into a lot more detail in the course about how to do research, tips on good ways to use Pinterest to help what you’re looking for and how to get that inspiration. The course presumes that you’ve booked the clients, so it’s not really a consultation in terms of how to get the clients, but more in terms of a design chat. Things you need to think about when you have your design chat with the couples, the course goes detail about that. And I’ve got a sample Q&A in there with the kind of questions you might want to think about asking your couples, there’s a whole section on what I would call the design meeting. And that’s time to dig deep into the couple and ask them what they do and don’t like with a list of questions. The course also includes a walk-through one of my weddings so talking through the design process, showing you the design brief and then the final wedding, talking through it. And I’ve also done a little walk-through of how to put a moodboard together. And I’ve included the sketches and a video showing how you can colour them in to really show off your ideas. So if we’re talking initial consultation pre-booking, I don’t go into any design detail per se. My proposals I send to them prior to booking are fact-based- it lists all my services and then I highlight things that they’ve talked about in terms of the design and then I put images in, from my weddings that I’ve worked on or shoots, that I feel best represent what they were talking about, but I don’t put any design ideas into my proposal after that initial consultation. Once a couple have booked, I will then have my design meeting with them and we’ll go through the design questionnaire and then from that stage I then put my mood boards together and then the design brief. The course doesn’t cover anything pre-booking, it’s all once you’ve booked them so these are your confirmed clients – how to get the information from them and then how to develop the design once they’ve been booked. My wedding planning fee includes my designing. I consider myself a planner and designer. I don’t just do one or the other, I love doing both. With my theatre design background, I love the design side, but I also have quite a logistical brain so I like the planning side too and my pricing will include both. For a full plan, I charge a percentage of the fee and I’ve essentially based that on the amount of work the wedding will require. If I was only styling, then I would charge differently, but I tend not to do just styling, I always do planning and design and I charge together. But in the course, I have broken down the different roles if you want to do just planning or designing and all the services you can offer. Any further questions about wedding design or the course just drop me a line today.